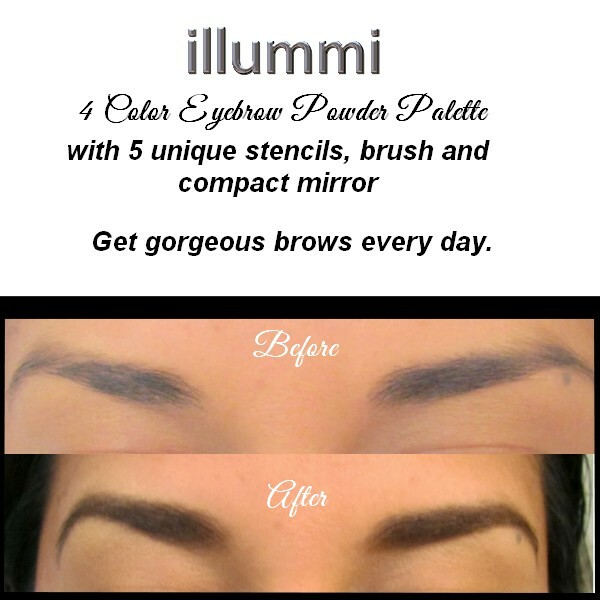 illummi 4 colour eyebrow palette has been created to allow a free match, the 4 chosen colours are versatile enough to suit most skin and hair tones, enabling you to create your own custom colour if need be. 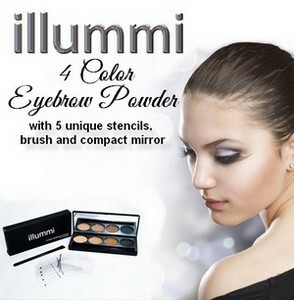 Give your brows the look they deserve, illummi eyebrow powder will add, colour, volume, and definition in seconds. 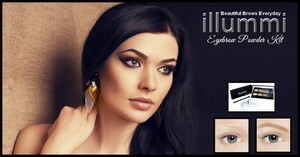 Included in the kit are 5 unique stencils, so you are totally in control of the look and definition you require. 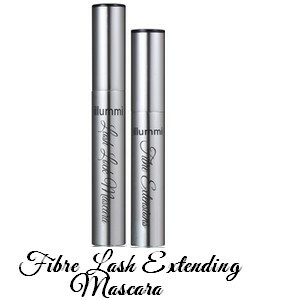 For professional looking results use the brush and stencils provided in the kit. 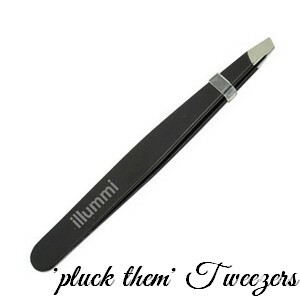 In order to achieve the perfect brows follow these instructions. 2. Select the stencil, to match the width and length of your arch. 3. 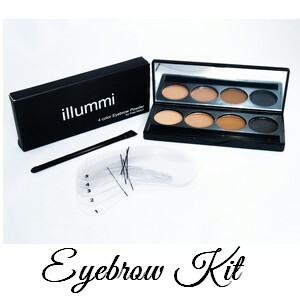 Place the stencil on your eyebrow, and using illummi eyebrow powder, fill in your brow using light and even strokes. 4. 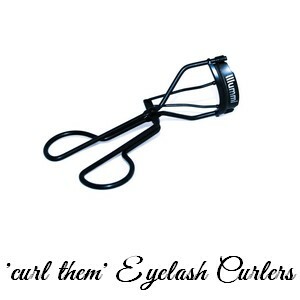 Wipe the stencil clean, turn over and repeat on the other brow. 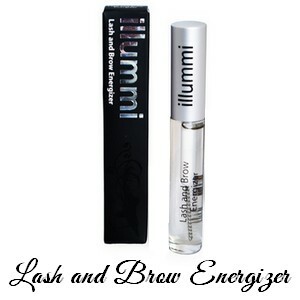 Silky Smooth Combination of powders to glide effortlessly over your brows, creating perfection every time..